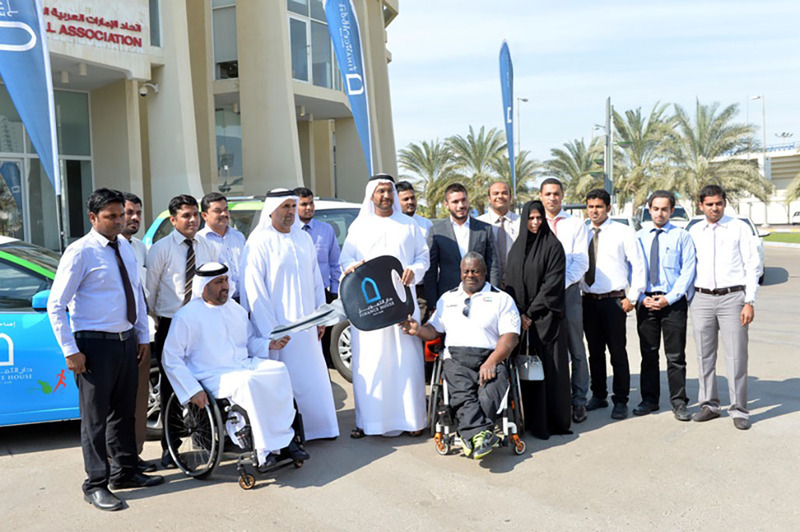 Abu Dhabi – 19 Nov, 2014 - Finance House P.J.S.C (FH) announced that it has donated 3 cars to the UAE Disabled Sports Federation, an organization dedicated to fostering athletes with special needs and engaging them in various local and international sports events and tournaments. Mohammed Abdulla Alqubaisi, Chairman of Finance House said: “FH is proud to be supporting the UAE Disabled Sports Federation. As part of our community empowerment and CSR activities, we believe that supporting organizations with such a noble mission is of paramount importance in order to ensure better circumstances for the disabled athletes. Since its inception, Finance House has been committed to making a positive change and leaving a positive mark in the community that it serves. The donation of the cars to the UAE Disabled Sports Federation is just a practical example of this long-standing commitment.